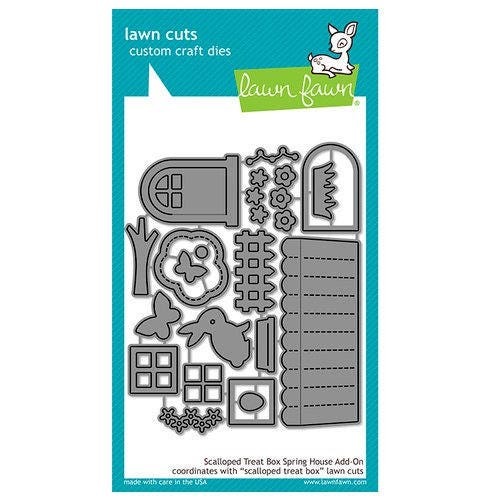 Coordinates with Scalloped Treat Box die from Lawn Fawn. Roof 3x1.25, assembled trees 1.875x1.25, bunny 1.125x1, window 0.75x0.75, interactive door 1.5x1.125, large butterfly 0.75x0.5, and fence 1.25x0.625. All approximate measurements are in inches.